Home > Boarding > Why Boarding? Providing a boarding school education is one of the greatest gifts that a parent can give to their child. Boarding allows students to develop more of their potential. St. Stephen’s has facilities and an environment that few other schools and almost no parent can match. With constant access to staff and no daily commute, boarders can get more done; their days are longer and their weeks are fuller. The boarders time is used more efficiently. Very well-qualified staff are dedicated to the students, and with very small class sizes, students are exceptionally well supported. The boarding environment supports students taking greater individual responsibility for themselves, which prepares them very well for independent living and learning at university and later the challenges and responsibilities of adult life. Learning is central to every activity at St. Stephen’s. Students are supported at every stage of their learning and boarding allows students to grow in confidence as they take responsibility for the decisions they make independently of their parents. They learn to be considerate and respectful of different opinions, as well as looking out for those who live around them. 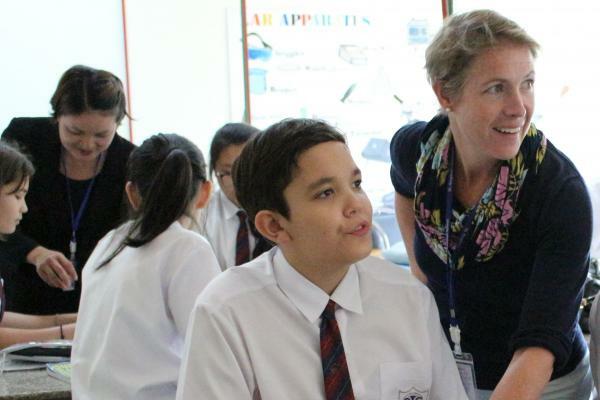 The academically rigorous experience that our students enjoy both in school and in their boarding life ensures that they make excellent academic progress, which prepares them well for university study across disciplines and the world. Friendships formed at boarding school are often lifelong. Students develop a friendship, trust and camaraderie that is unique to a boarding school setting. What is more, relationships at home can benefit because the time together during the holidays is not taken for granted. We want St. Stephen’s to be a ‘home from home’ for students, whilst we also strive to develop the ‘triangular’ relationships between student, school and home.